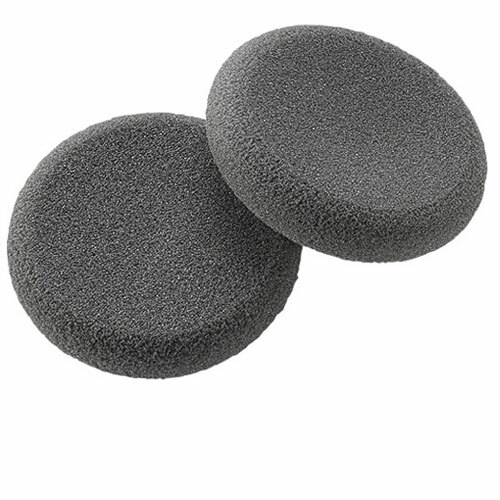 Plantronics Black Ear Cushions (Qty 2) - 15729-05 - Headsets Direct, Inc.
Plantronics foam black ear cushions provide soft, all day comfort when wearing a Plantronics headset. Part # 15729-05 is sold as a pair of ear cushions and simply slides onto the speaker of the headset. I was very pleased with the handling of the entire transaction. Part I needed was for an older headset unit. I sent an email to ‘Contact Us’. Friendly, helpful staff answered all my questions and found me exactly what I needed. Product was received within a few days of order. I could not have asked for better service! Kudos to your staff!! My company has been using this product for years. We are happy with it. Cushions arrived quickly. Easy to put on headset. Feel very comfortable. Very happy with product.